Emerging over the past ten years from a set of post-structuralist theoretical lineages, non-representational theories are having a major impact within Human Geography. Non-representational theorisation and research has opened up new sets of problematics around the body, practice and performativity and inspired new ways of doing and writing human geography that aim to engage with the taking-place of everyday life. 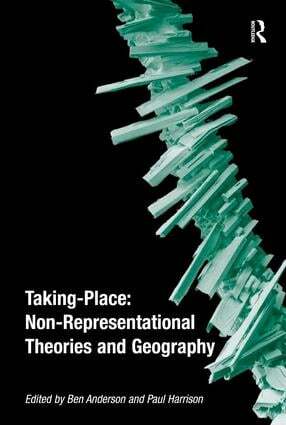 Drawing together a range of innovative contributions from leading writers, this is the first book to provide an extensive and in-depth overview of non-representational theories and human geography. The work addresses the core themes of this still-developing field, demonstrates the implications of non-representational theories for many aspects of human geographic thought and practice, and highlights areas of emergent critical debate. The collection is structured around four thematic sections - Life, Representation, Ethics and Politics - which explore the varied relations between non-representational theories and contemporary human geography.